Hekima University College Library - Fr. Matthew Charlesworth, S.J. 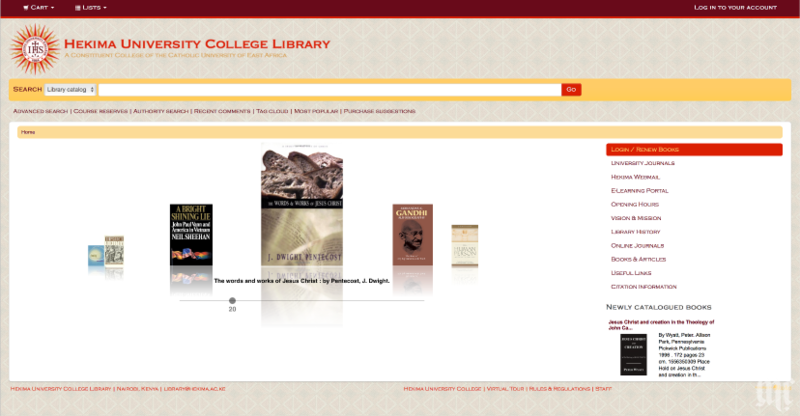 When I was studying at Hekima University College I helped transition their library to use an online catalogue. I am no longer on-site, but I do consult and occasionally help out in upgrading the system.